Whether you grill or broil your sirloin steak, marinating it prior to cooking makes the meat more tender and flavorful. Marinades are mixtures of oil, spices and acidic ingredients like vinegar, wine or lemon juice. The acids in the marinade break down the meat tissue, resulting in meat that is tender. Marinating meat before cooking may also help reduce the formation of cancer-causing compounds in browned meat, according to the Bastyr Center for Natural Health. 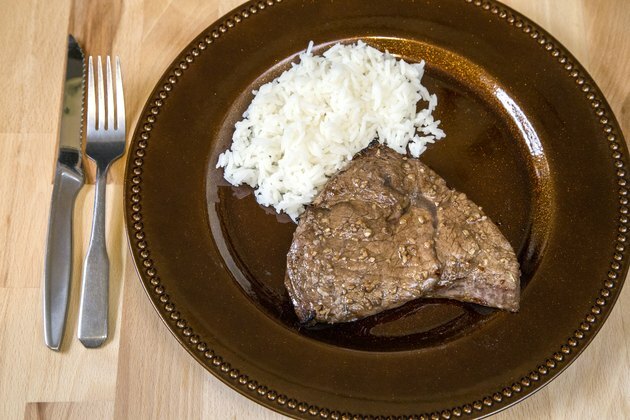 By following a few tips, you can marinate sirloin steaks like a pro. 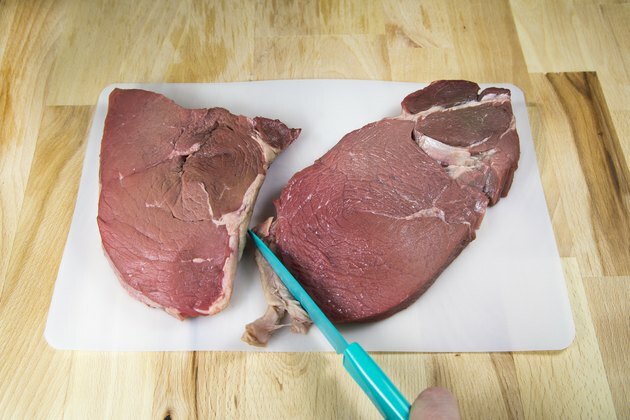 Cut off all visible fat from the sirloin steaks to reduce your intake of saturated fat. Look for USDA "Select" or "Choice" grading rather than "Prime," which typically contains more fat. Select hormone-free, antibiotic-free, organic beef whenever possible. 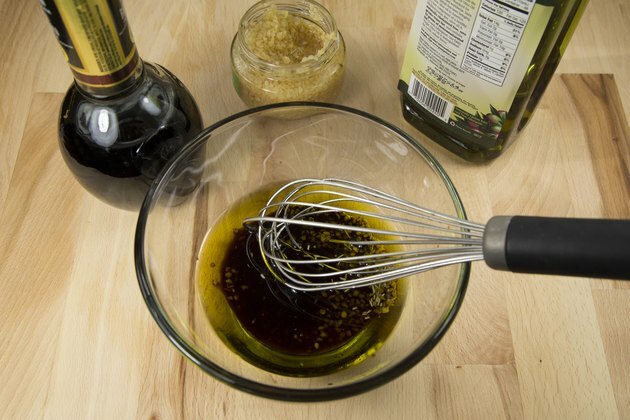 Make your own marinade by whisking together heart-healthy ingredients like olive oil, balsamic vinegar, minced garlic, fresh rosemary and pinch of black pepper to your desired taste. Experiment with fresh herbs and spices. Commercially prepared marinades are often loaded with salt, sugar and preservatives. Place the steaks in a shallow plastic or glass baking dish. 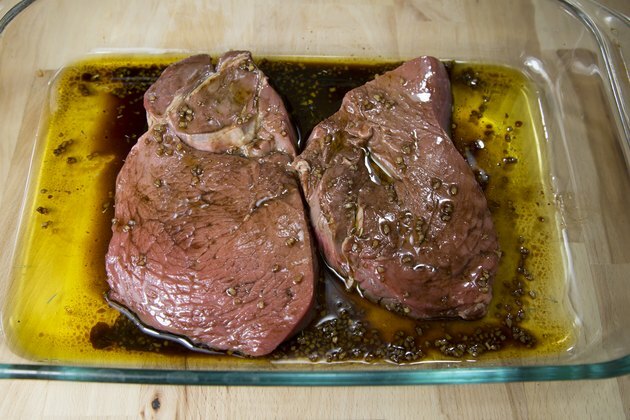 Pour your marinade generously over the steaks and turn them over so that both sides are thoroughly coated. 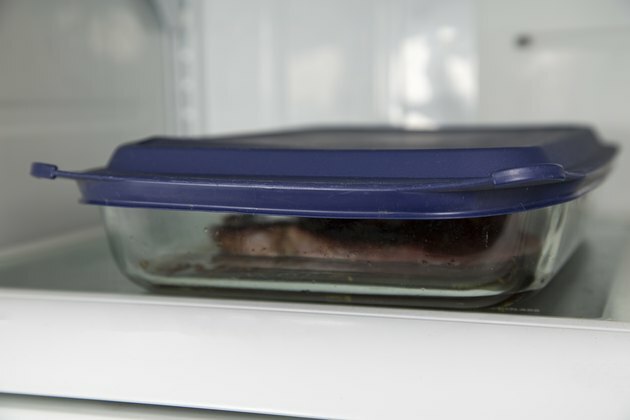 Cover the baking dish and marinate the covered sirloin steaks in the refrigerator for 15 to 30 minutes. 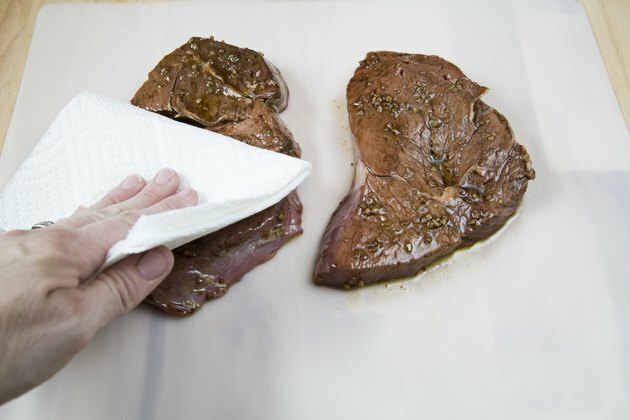 Refrigerating your steaks during the marinating process helps avoid the growth of harmful bacteria. Take the meat from the refrigerator. 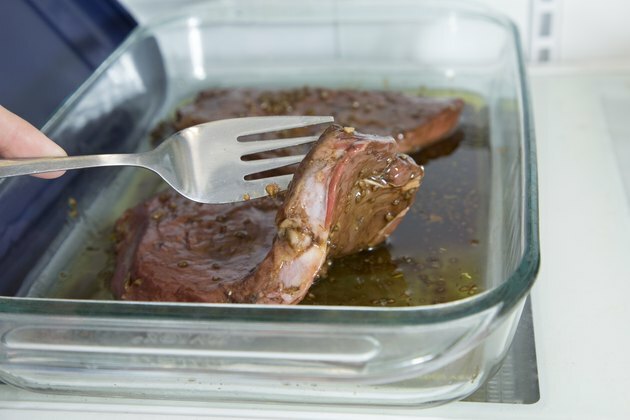 Remove the sirloin pieces from the baking dish and discard the marinade to avoid accidental cross-contamination from the raw meat in the marinade to other foods. Pat the steaks dry, using paper towels. Grill or broil as desired. Eating too many foods that are high in saturated fat, such as beef and other animal foods, can increase LDL cholesterol levels and total cholesterol, which increase the risk of developing heart disease.